Dunbar and Boardman: Who built the world’s first underwater elevator? For many people the words underwater elevator will conjure up images of one of James Bond’s adversaries, Karl Stromberg in The Spy Who Loved Me. He had many elevators in his Atlantis structure and sent his enemies to certain death via a trap door that dispatched them into a pool of sharks. Sharks can also be seen at the world’s first underwater elevator at The Deep in Hull, United Kingdom The Deep, an education and conservation charity is home to over 3,500 fish and other marine life and is one of Hull’s most popular tourist attractions. The Deep opened in 2002. 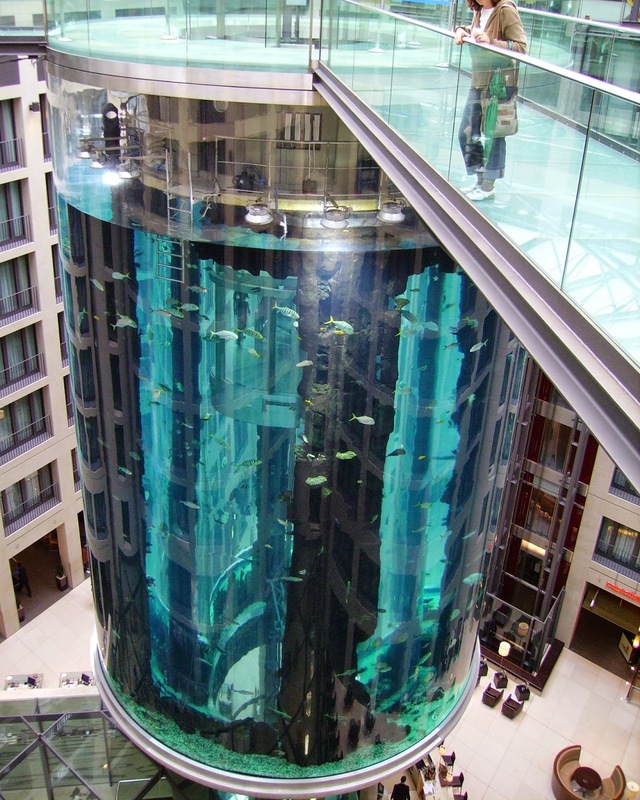 As part of a five elevator contract Otis Elevator Company provided the vertical transportation including a glass elevator that rises up through the aquarium. The elevator system was designed and incorporated into The Deep building by award-winning English architect Sir Terry Farrell. At the time of its opening Farrell said of the project, "Otis engineers did a fine job of creating this unique transportation system and the elevator journey is now part of the overall experience of visiting the submarium," said Farrell. Didier Michaud who was then managing director of Otis United Kingdom, provided the Otis perspective when he said, "We were presented with a challenging opportunity of designing, developing and installing a vertical transportation system that allows visitors to view life under water," said. "It was an unusual request for which our engineers found the perfect solution." The custom-designed panoramic elevator, with a curved acrylic wall and bubble top, was installed in 18 weeks. What is the technical specification? The elevators travel up through a transparent tube for a distance of 10 metres or 33 feet. The elevator pauses halfway through to allowing passengers a 360-degree view of marine life that includes the aforementioned sharks, stingrays, moray eels and thousands of other species of sea life. The system has a load capacity of 1,350 kilograms (2,970 pounds) and travels at a comfortable 1.0 meter per second (200 feet per minute). Tourists enter the cab at bottom, or ground level, of the aquarium. Are there any similar structures? 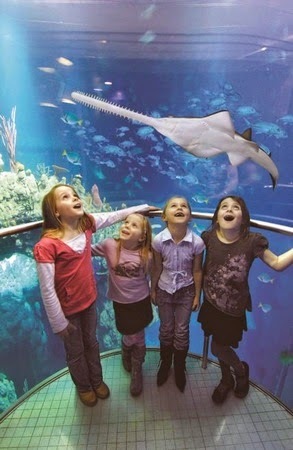 In 2004, two years after the opening of The Deep a new Aquarium with an elevator was opened in Berlin, Germany. It was named the AquaDom. The AquaDom is a 25 metres high tall cylindrical acrylic glass aquarium. Are you planning any showpiece elevators (underwater or otherwise) as part of projects that you are working on? We would be happy to discuss with you. Dunbar and Boardman is the lift, escalator and access equipment consultancy. Give us a call on T +44 (0)20 7739 5093 or send us an email via peterboardman@dunbarboardman.com to start the conversation. We look forward to hearing from you. For many people the words underwater elevator will conjure up images of one of James Bond’s adversaries! It seems first time known to me! Nice blog!